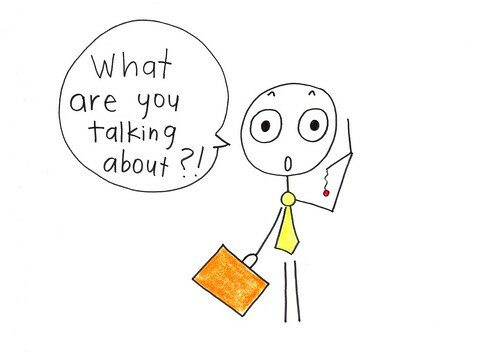 "What are you talking about?" the son screams. "We can't stand the sight of each other any longer," the old man says. 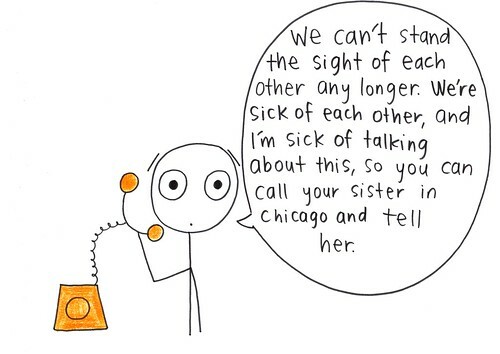 "We're sick of each other, and I'm sick of talking about this, so you call your sister in Chicago and tell her," and he hangs up. 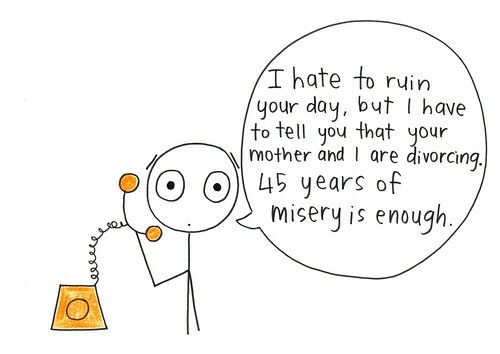 Frantic, the son calls his sister, who explodes on the phone. 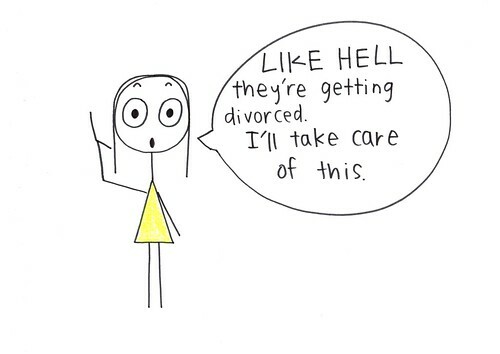 "Like hell they're getting divorced," she shouts, "I'll take care of this." 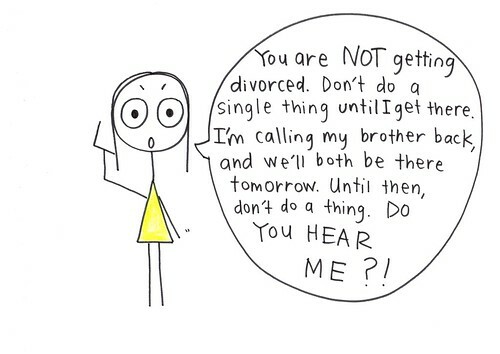 She calls Phoenix immediately, and screams at the old man, "You are NOT getting divorced. Don't do a single thing until I get there. I'm calling my brother back, and we'll both be there tomorrow. Until then, don't do a thing, DO YOU HEAR ME?" and hangs up. The old man hangs up his phone, too, and turns to his wife. 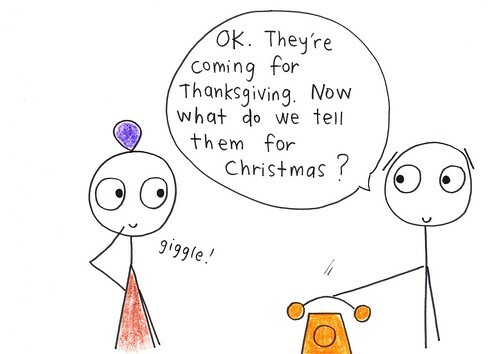 "Okay," he says, "they're coming for Thanksgiving. Now what do we tell them for Christmas?" From Friday Joke on Show 520.